This release is the first Bentley branded and licensed version of the former FormSys product Multiframe. Fast and accurate structural analysis is the foundation of all computer aided structural design. Multiframe helps you get the results you need by providing powerful, yet easy to use analysis and design capabilities. Multiframe's analysis and design tools give you an exceptionally powerful and flexible means of creating, analyzing and examining results for your structures. 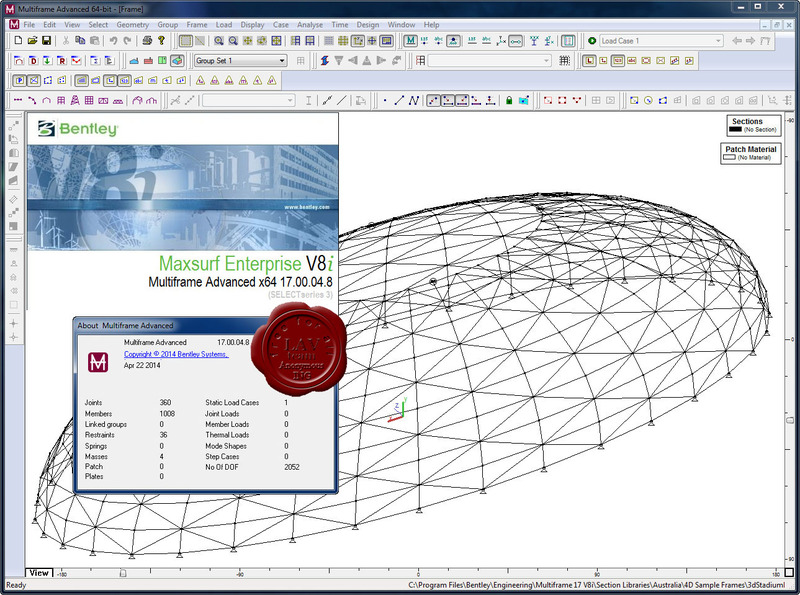 Multiframe Automation using VBA is a feature unique among structural analysis programs. Using Automation, you can prepare calculations and drawings in Excel, Word or AutoCAD and dynamically access any and all of the design data you need directly from the Multiframe model. In Word, you can prepare a design template document and have it filled out automatically by data from Multiframe. In AutoCAD, you can automatically generate a drawing from a Multiframe model, or alternatively, generate a Multiframe model dynamically, directly from an AutoCAD drawing. Multiframe is available in two versions to provide solutions matched to the varied tasks that you perform: Multiframe - 3D structural analysis and design; Multiframe Advanced - 3D structural dynamic analysis and design.